'Personal computing would not have existed without him,' Bill Gates said of his one-time colleague. Paul Allen, co-founder of Microsoft, died Monday in Seattle from complications of non-Hodgkin's lymphoma, his family said in a statement. Allen, 65, started Microsoft with Bill Gates in 1975, and was first diagnosed with the cancer in 1982. He stepped away from the company in March 1983, just months before doctors said his treatment had beaten the illness. The disease recently returned after years in remission. 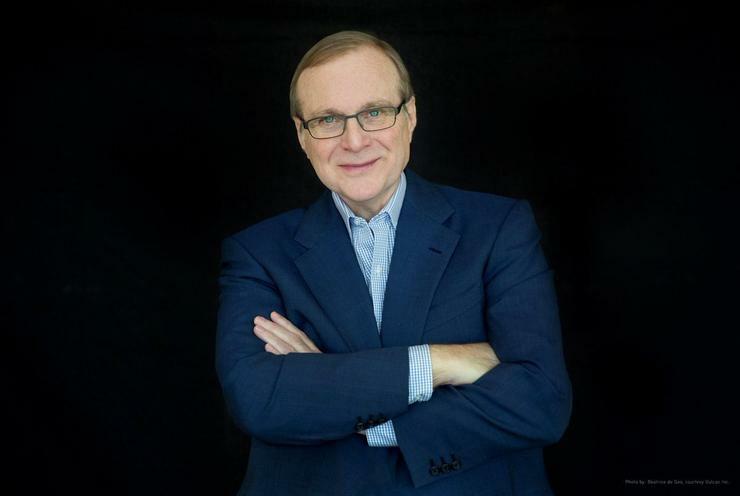 Although Allen co-founded Microsoft with Gates - the two met at a Seattle, Wash. private school - he left before many of the firm's signature moves, including Windows (1985) and Word (October 1983), debuted. But he was instrumental in the foundational rounds of the company's pioneering software strategy, such as Microsoft BASIC and MS-DOS. His importance to the company was evidenced by the accolades expressed by Microsoft's three chief executives after his death was announced. "From our early days together at Lakeside School, through our partnership in the creation of Microsoft, to some of our joint philanthropic projects over the years, Paul was a true partner and dear friend," Gates said in a statement. "Personal computing would not have existed without him." "Paul was a truly wonderful, bright and inspiring person. His insights were critical to the creation and success of Microsoft - and therefore to the success of personal computing worldwide," Steve Ballmer, Gates' successor as CEO, said in a statement of his own. Satya Nadella, Microsoft's current chief executive, also reacted to Allen's death. "Paul Allen's contributions to our company, our industry and to our community are indispensable," he wrote. "As co-founder of Microsoft, in his own quiet and persistent way, he created magical products, experiences and institutions, and in doing so, he changed the world." 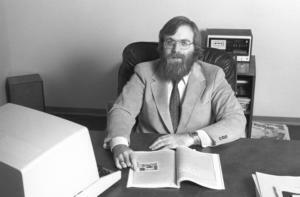 Microsoft co-founder Paul Allen in an undated photo. Microsoft's first product, Microsoft BASIC, was a retooled version of the high-level programming language, one suitable for smaller microcomputers, notably the Altair 8800, one of the first such machines. That original Microsoft BASIC required just 4 kilobytes (4Kb) of system memory. It, or actually its many successors, became the go-to programming language for a whole host of the home computers that exploded onto the market in the late 1970s and through the 1980s. Microsoft made its first fortune from licensing its BASIC to hardware makers, who typically put the language in ROM (Read-Only Memory). The company, which relocated to the Seattle area from New Mexico in 1979, was originally named Micro-Soft, a moniker suggested by Allen to suggest the microprocessor-powered machines its software targeted. The hyphen was dropped later. While founders of other influential companies - then and now - focused on hardware, with Apple's Steve Wozniak and Steve Jobs primary examples, Allen and Gates established a software-only strategy. Their first huge hit was the Microsoft Disk Operating System, or MS-DOS, which they licensed to IBM in 1981. MS-DOS - or its IBM-rebranded doppelgänger PC-DOS - was installed on every personal computer IBM, then competitors who built and sold clones, manufactured. MS-DOS made Allen and Gates rich almost beyond measure, eventually bringing them each billions. Allen's net worth was estimated by Forbes as more than $20 billion as of earlier this month. After his departure from Microsoft, Allen continued to serve on the company's board of directors until 2000. Over the years, he bought several professional sports teams in the Pacific Northwest - the NFL's Seattle Seahawks and the NBA's Portland Trailblazers - founded the Vulcan Inc. investment firm, and funded expeditions that located the deep sea remains of noted World War II warships. The list of ships included the U.S.S. Indianapolis - the cruiser that transported parts of the Hiroshima atomic bomb to a base in the Pacific - the U.S.S. Lexington and the Japanese super-battleship Musashi.